Christine KAURdashian: DrakeWatch: Drizzy Releases "More Life"
DrakeWatch: Drizzy Releases "More Life"
Don't call it an album. Don't call it a mixtape. It's a playlist...by the October Firm. 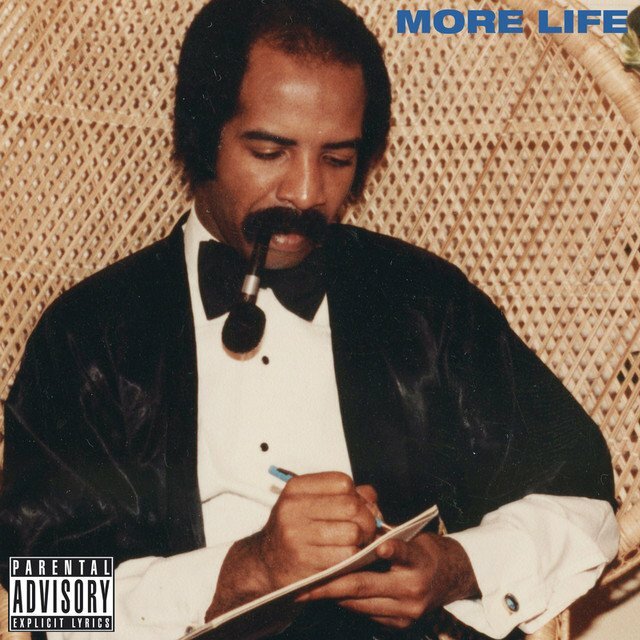 Drizzy's long-awaited More Life dropped over the weekend and it's HOT! The firm consists of Drake and his manager Oliver El-Khatib. The 22 track playlist has a ton of features from the 6 God's new friends, Kanye, Quavo, Giggs, Travis Scott, Young Thug, 2 Chainz, etc. Right out the gate, Free Smoke got me so hyped on my train ride home that I knew this playlist was going to kill it. Then he samples Lopez's 1999 hit If You Had My Love on Teenage Dream, which begs the question...is this Drizzy saying dating Jenny from the Block an actual teenage dream? Because I'd say it was! Personally, I like the faster songs with Giggs. The song with Kanye hasn't grown on me yet, but it's called Glow which explains this Twitter post from 'Ye a while back. There's no telling if Drake and Kanye are actually going to be releasing an album together, because that rumor has been swirling for a while. Another thing to note is that this wasn't an Apple Music exclusive. Other streaming sites had the playlist. To go with the playlist, a bevy of photos on Drake's Instagram from the release party. Expect this playlist to be in rotation for me for a while. Here's to another few months of Drizzy quotes to fill up your Instagram posts!